Australian Hot Water service, repair, supply and install a wide range of electric hot water systems and hot water heaters from Australia’s leading brands. For reliable advice on the best electric hot water system for your needs and budget, installed with ease by our fully authorised team of electricians and plumbers, call Australian Hot Water today. We know that effective and energy efficient water heating is a priority for you. To help you choose the right electric hot water system for your needs, Australian Hot Water supply and install products from all of the leading water heater manufacturers. We can help you choose the right system to fit your requirements and budget. Australian Hot Water can supply and install a range of electric instantaneous hot water systems and electric hot water storage tank systems. While it might be the height of summer right now, it won’t be long until autumn is coming to an end and winter is just around the corner. But as those days grow shorter, do you know if your hot water system is going to cut it? This page has everything you need to know about electric water heaters and more. As you might have guessed, an electric hot water system is a water heating system where the main fuel used is electricity. Electric hot water systems have historically been far more common in Australia than gas systems, primarily as there’s no need to be on the gas grid. In recent years, electric heating tanks have gone out of fashion as they tended to be less energy efficient and required more space in the home. These days however there are a number of continuous electric hot water options which can operate completely without a tank. 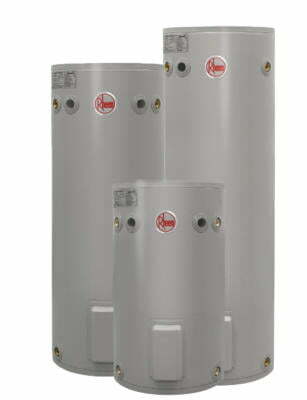 The main two types are continuous water heaters and tank-based systems. There are also a range of other options, such as solar hot water systems and heat pump systems, which incorporate electricity. Electric hot water systems have a lower initial cost and they are also available all over the country. Over time however they tend to be less efficient and more costly to run. To find out the right water heating system for you, get in touch with Australian Hot Water today. There are also a range of other options, such as solar hot water systems and heat pump systems which incorporate electricity or gas, so you can be sure you’re installing the best system for you and your family. We provide a same day service for the repair and replacement of electric hot water systems. With over 30 years’ experience, you can be confident that our authorised service representatives can service and repair your hot water system – or suggest an alternative solution to get you back in hot water. To book a same day service call, phone Australian Hot Water now.